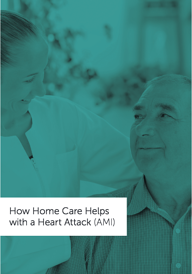 These brochures highlight what home care is, the difference between home health, price advantages of home care, and how home care helps social workers and discharge planners with patients who have COPD, Heart Attack, Heart Failure, and Pneumonia. Hospitals and Skilled Nursing Facilities (also referred to as SNFs or 'Sniffs') are among the best referral sources for private duty home care but they are also the most difficult to tap into. It takes a strategic and well-executed plan just to get access to pitch home care at these referral types. For any product or service purchase, you are either buying benefits or buying to avoid negative consequences. Hospitals and Skilled Nursing Facilities need to purchase both -- the benefit of their discharged patients sucessfully staying in the home and avoiding a reimbursement penalty by CMS (Center for Medicare and Medicaid Services) under the Hospital Readmission Reduction Program. Visit the CMS Hospital Compare website where you can look up the readmission rate for the hospital you’re targeting. The context here is under the Affordable Care Act (ACA), the Hospital Readmission Reductions Program (HRRP) will reduce payments, effectively reimbursements, to these hospitals who have excess readmissions. The readmission rates for most major hospitals are available for COPD, Heart Attack, Heart Failure, Pneumonia, Stroke, Coronary Artery Bypass Graft, and Hip & Knee Replacement on the Hospital Compare Website. On that website, you'll also find the star rating of each hospital based on where about half of all hospitals recently earned 3 out of 5 stars. The great news is ClearCare has created brochures for home care agencies to use to align your services with supporting the hospitals and SNFs meeting their readmissions goals. You can even add your logo and contact information directly to the brochure! Another way to get into the hospital is to visit a client you’re servicing who happens to be in the hospital. Maybe your client had reason to be admittted between home care visits. Since this is your home care client, you can work with the family member to provide access to gain access to the hospital so that you can begin to plan for home care when the client returns. When you seek out the social worker or discharge planner, be brief, but reinforce that your client will be taken care of upon dischage, and mention how your services align with keeping this specific type of discharge patient at home. Ask for an in-service to come back and meet with the entire team. An ‘in-service’ is another word for a presentation where you present to a group of social workers at the hospital. Use ClearCare's 'How Home Care Helps' collateral to support this message. 5 minutes discussing the “How Home Care Helps” document -- this is key as most referral sources don't know the difference between home care and home health. These brochures explain who they should send your way as well as overcomes the objective of “no one can afford home care” as the data clearly shows how home care is one of more affordable options and allows that allows the patient to stay at home. The key of this in-service is to get the social worker to identify exactly the type of patient that makes a good candidate for home care services. First, the client who is already a readmitted patient. Why? Because it’s been proven that without home care they couldn’t remain home. For a patient who has already been readmitted, the social workers are already under a lot of pressure and are looking for either a different discharge solution or better execution of their discharge plans -- both of which home care can help with. The second type of ideal discharged patient for home care is someone with 5 or more chronic conditions. This is also called comorbidity. AARP data shows that 20% of all seniors suffer from 5 or more chronic conditions, yet Medicare spends nearly 75% of all funds providing care for this population. Once you get the referral, stay in touch with the discharge planner who sent the referral, especially during the first week. Then, once the client has been under your care for greater than 30 days, and with the client’s permission, share this success of keeping the client out of their hospital after that key 30-day window. For ClearCare powered agencies you can also use The Family Room to streamline keeping the family, social workers, and anyone else on the care team involved in the care. Many of my coaching clients also have success setting up a meeting with the discharge planner after the referral at the hospital to discuss the patient's updates -- this gets you back into the hospital where more face time could result in additional referrals. Interested to learn more tactics and network with other home care marketers? Check our upcoming Bootcamp , a 3-day event exclusively for Sales & Marketing for private-duty home care.